Sometimes life is intensely predictable. This was one of those times. For the first time ever, the Champions League has been won by the same team two seasons in a row and, of course, it was Real Madrid that did it. What looked to be an evenly matched final at the start turned into a merciless drubbing as Real beat Juventus 4–1, topping Barcelona’s 3–1 win over Juve in the 2015 final in the process. 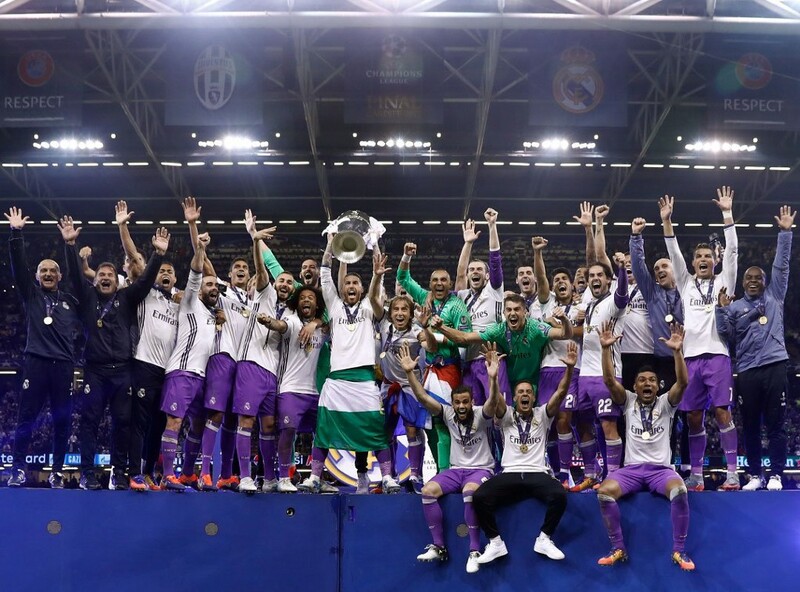 Now, Real Madrid have won the competition 12 times, including three in the last four years. This seemingly inevitable result was made possible by a bunch of smaller inevitabilities coming true throughout the match. It started with Cristiano Ronaldo scoring the match’s first goal, giving him yet another Champions League record by becoming the first player to score in three different finals. But taking a step back, the mere fact that Real Madrid scored in the match was an inevitability, even against the likes of Gigi Buffon and Juve’s stellar defenders. Real scored in every single match this season. Every single one! That’s an incredible feat that will likely get lost in everything else Los Blancos accomplished this season. Real Madrid scored in 100% of their 60 games across all competitions this season. 173 goals in total. Mario Mandzukic’s equalizer was anything but inevitable, but it still might be used to justify Real Madrid’s bid for David De Gea before the match (De Gea is three inches taller than Keylor Navas and probably would’ve pushed the shot over the crossbar, as a result). Inevitable: Cristiano Ronaldo immediately trying to top Mandzukic after having his thunder stolen. However, he did go on to score a second goal in the second half to finish off the match and put him ahead of Leo Messi as the Champions League’s top scorer for the fifth year in a row. Inevitable: Sergio Ramos getting booked in the 31st minute for a dumb foul. Shyamalan Twist: Sergio Ramos getting someone who is not Sergio Ramos (Juan Cuadrado) sent off in the 84th minute. It turns out you can teach old Ramoses new tricks. And what he did to get Cuadrado sent off certainly was a trick. Inevitable: The Gonzalo Higuain Cup Final Curse continues, as the striker Juve paid €90 million for last summer once again came up small on the biggest stage. You know Messi was watching this match somewhere, staring at Higuain with a white-knuckled fist and muttering “You better not score, you better not score, you better not score” the whole time. At this point, starting Higuain in a cup final should be considered match fixing. Inevitable: Gianluigi Buffon failing to win the Champions League. It’s the one trophy that has eluded him over his long and storied career. This might have been his last chance to claim it, but that was said back in 2015, too. Inevitable: Zidane continuing his managerial dominance. In just 18 months as manager of Real Madrid, he’s won two Champions League titles, La Liga, and the Club World Cup. And to think that before he was given the job, Rafa Benitez as in charge of this team as they were getting disqualified from the Copa del Rey for fielding ineligible players. UEFA needs to investigate Zidane for illegal use of wizardry.